You step outside on a cool autumn day and take a deep breath. The crisp air fills your lungs, the smell of the falling leaves surrounds you. Someone even has a wood fire going and you occasionally catch a pleasant whiff of the smokey aroma. You feel perfectly content. And then it hits you. From somewhere, you don’t know where, the intoxicating scent of a pumpkin-spiced-something creeps into your nose, into your mind. Before you know it, you’re in the maddening grip of pumpkin fever. And, of course, the only cure is more pumpkin. At least that’s our take on the pumpkin spiced delirium our nation succumbs to every year. One day we’re happily eating well-balanced meals, and the next, we have an uncontrollable urge to consume as much pumpkin spiced food as possible. Imagine the food pyramid. Then forget it entirely and replace it with a giant all-encompassing pumpkin. That’s pretty much it. It’s not until we OD on pumpkin pie during Thanksgiving dinner that the wild rollercoaster binge finally comes to a crashing end. When it comes to exported flavors, pumpkin spice is clearly the seasonal king. 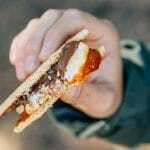 But close behind is the chocolatey marshmallowy campfire classic known as s’more. From coffee to ice cream and everything in between, there’s no place these two titans of the flavor world haven’t conquered. It seems no food is safe from their constantly expanding reach. But what if these two were to go head to head? Pumpkin vs S’more? 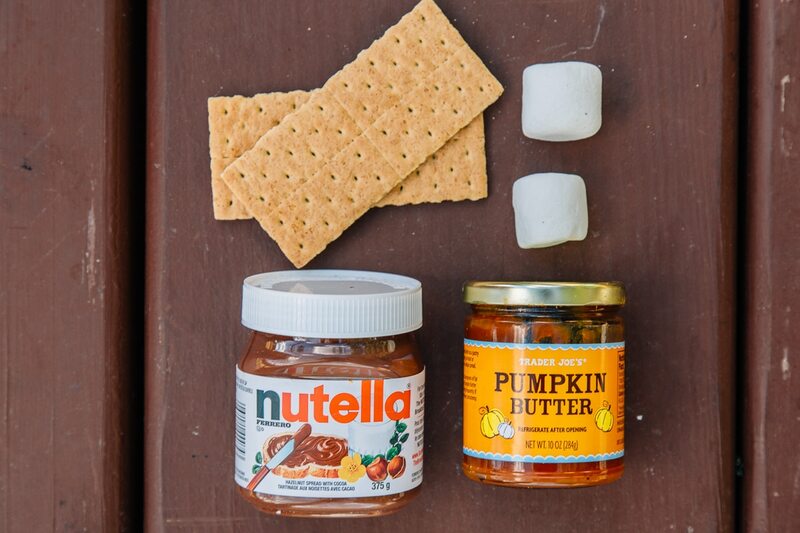 We’re proud to present you the next chapter in culinary maximalism: The Pumpkin S’mores! But that’s not all! Just to tie-in one more passionate flavor cult, we’ve substituted the standard chocolate bar with Nutella. It’s an unstoppable triple threat! And with the fall camping season in full swing, it’s the perfect time to take your pumpkin game to the next level and give this seasonal treat a try. 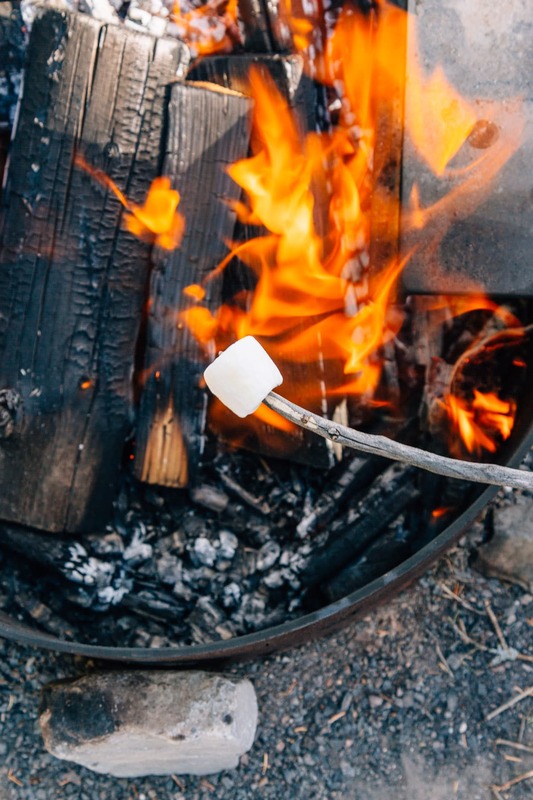 Roast marshmallow to your liking over a campfire. 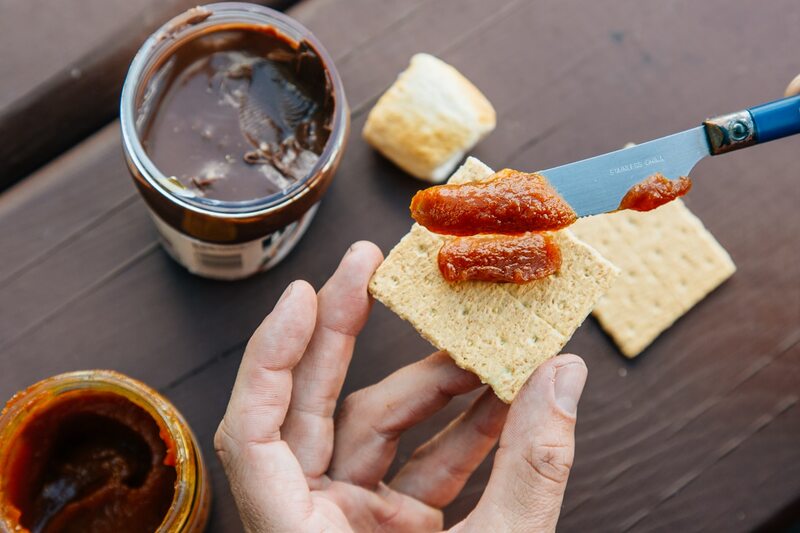 Assemble the s’more: on one graham cracker, spread the pumpkin butter. 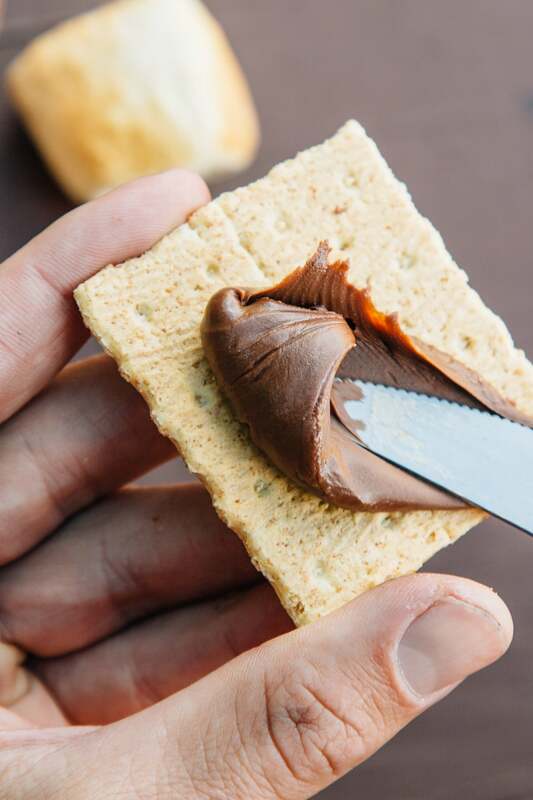 On the other graham cracker, spread the Nutella. 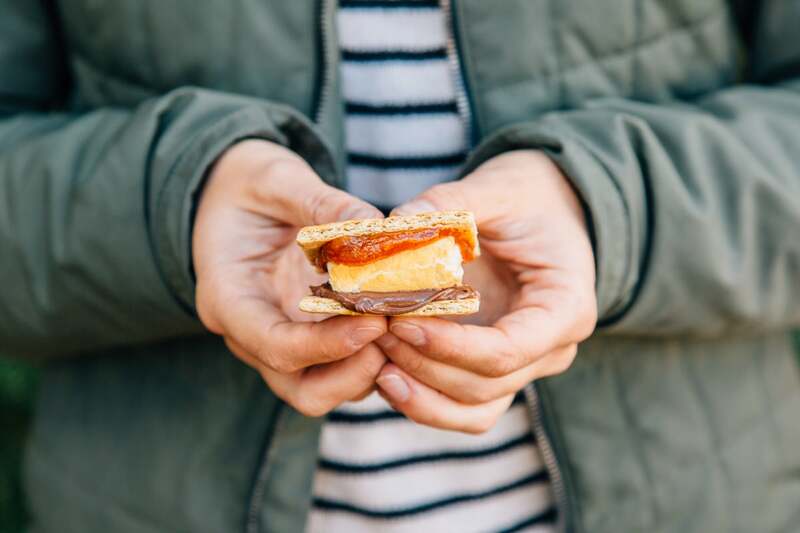 Sandwich your roasted marshmallow between the two and enjoy! 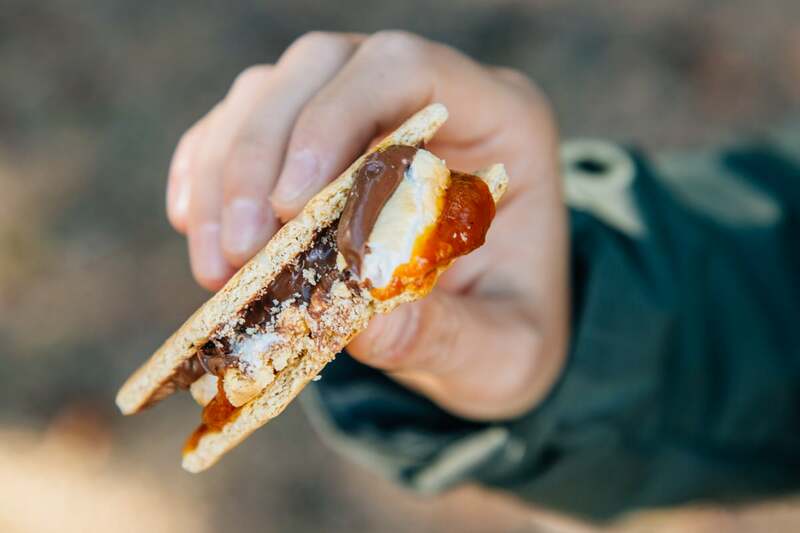 If you make this s’more next time you’re camping, let us know! 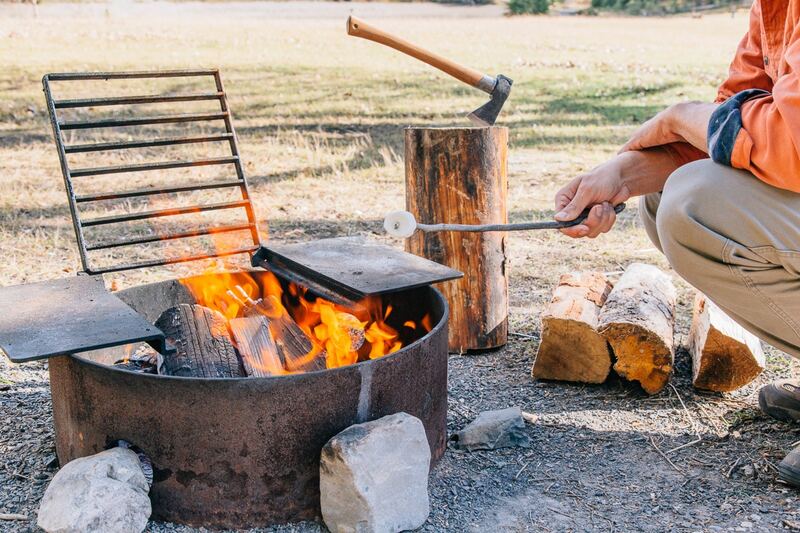 Leave us a comment below or follow us on Instagram @freshoffthegrid and tag your camp cooking photos #sporkandknife so we can check them out!